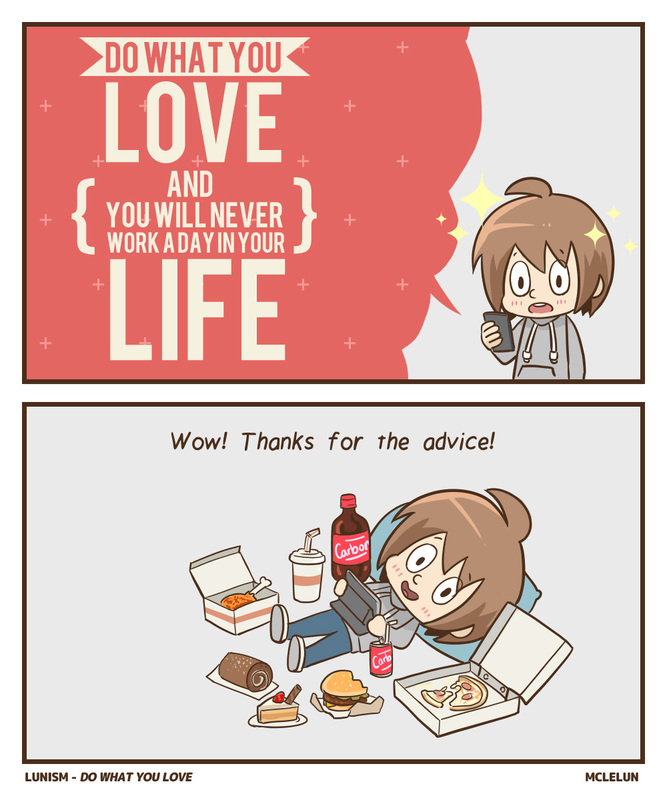 Do what you love and you will never work a day in your life. But I like being lazy, eating and sleeping. I did not draw anything new for this comic, just recycle some old panels. 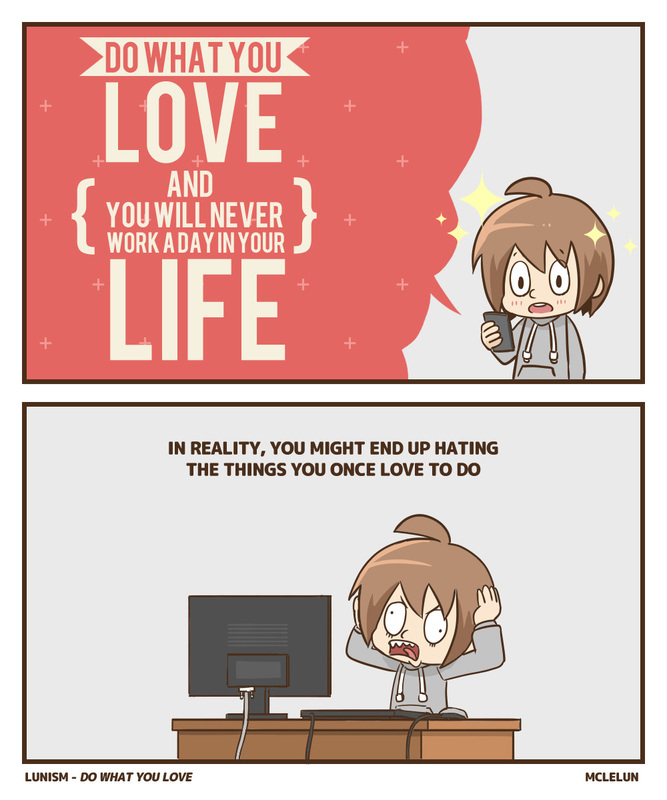 Do what you love and you will never work a day in your life. And end up hating the thing you once love to do.